Mazda synonymous with the rotary engine, but unfortunately after the triumph era of Mazda's RX sports car end, the model that has a unique combustion system as it is not made again. Mazda says the continuation of the generation of single rotary engine is not logical for the company, because demand is limited plus the strict emissions regulation. 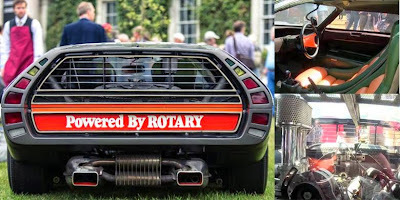 When looked again into the pages of history, Mazda once proud and seriously developing rotary engines. 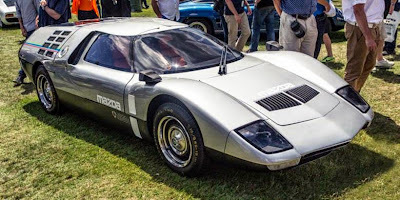 Even in 1970 had been born RX-500, the one off Mazda sports car model once born just a concept. The first presentation done at the Tokyo Motor Show, in October 1970. It has a body made of plastic with a total weight of 850 kg. 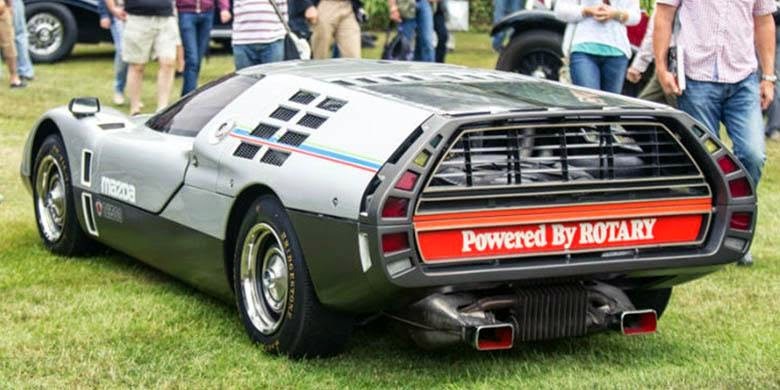 The sports car uses a 491 cc Wankel Rotary engine in the middle, it could producing 250 PS of power and is able to speed up to 200 kph! For the size of a sports car of its era, if the RX-500 produced, it could be one of the fastest car on the streets. The design is done by Toyo Kogyo, its purpose as a reference of Mazda model to the high-speed driving security. At the front, his face widened, while extending at the rear. 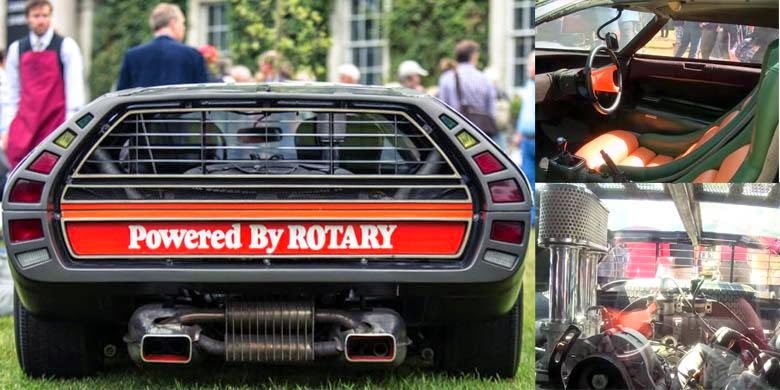 From the silhouette of the body, at first glance looks like a DeLorean DMC-12, the famous car that taken role play in 'Back to the Future' movie. The car only fit two passengers into the cabin via two types of gull-wing doors. Another unique feature, the rear lights emit a green light during acceleration, when the normal yellow, and bright red when braking.